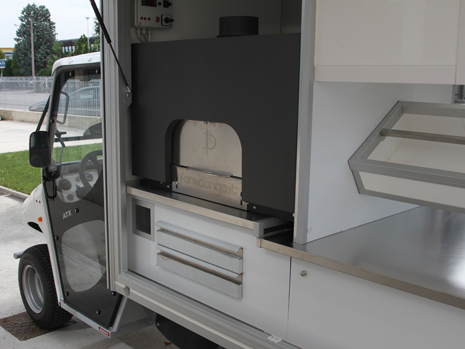 The vans with equipment for pizza are a real itinerant pizzeria, with oven and everything you need to prepare a pizza and sell it as 'street food'. The Alkè van with the equipment for pizza is a real moving pizzeria. 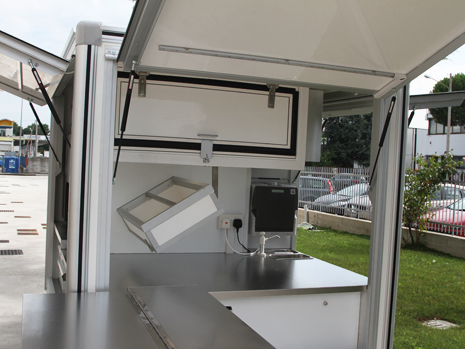 On the cargo bed are installed an oven, a double bowl sink with hot or cold water, a refrigerator, a work table, refrigerated containers for ingredients, a table for cutting and serving pizza. The "street food" is becoming more and more popular and the pizza vending van meets to this need. 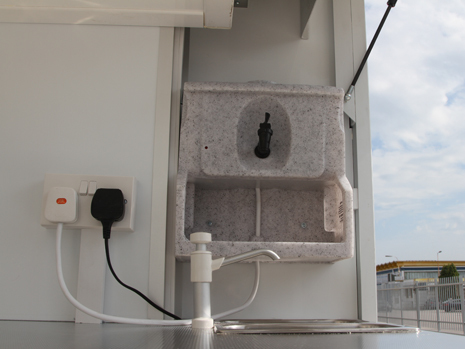 Alkè pizza vending vans are 100% electric and saving in the medium to long term is significant: approximately 50% less of cost on maintenance and 80% less of costs in fuel consumption compared to diesel / petrol vehicles. In addition being electric it can enter without having restrictions also to areas where other vehicles can't pass or at least have limitations. 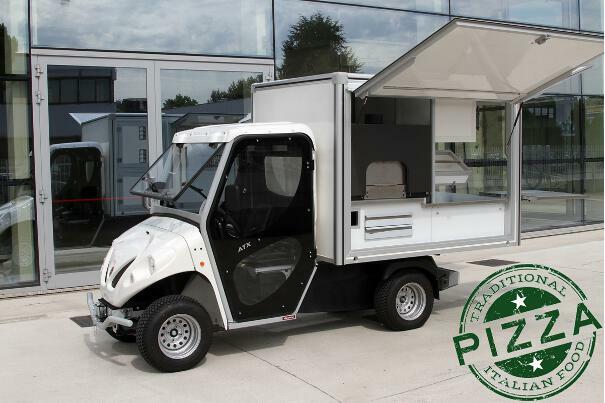 In addition to these economic advantages is to be considered also a significant reduction of management costs that occurs with a pizza vending van since you can manage the activities alone or also at the maximum with another person. For those who decide to open a moving pizzeria the advantage is being able to meet just in time customer demand, positioning itself in the areas of greater transition in the right times: for example in cities where there aren't pizzerias, various events, private parties, etc. and thus provide a service and an added value to its customers. 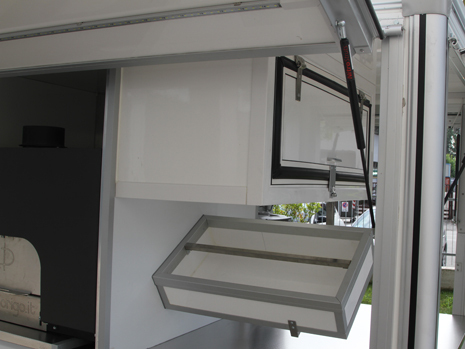 With the evolution of the "street food" and catering with these fittings you can provide products with excellent quality. 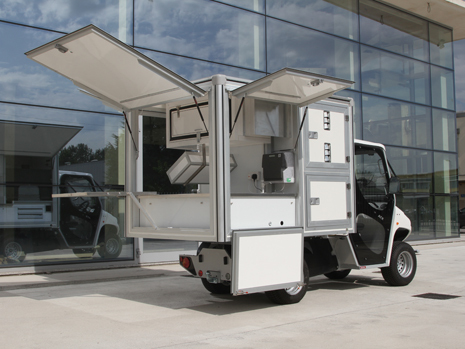 The Alke' pizza vending vans can be customized in color and graphics to make even more unique and recognizable your own business.